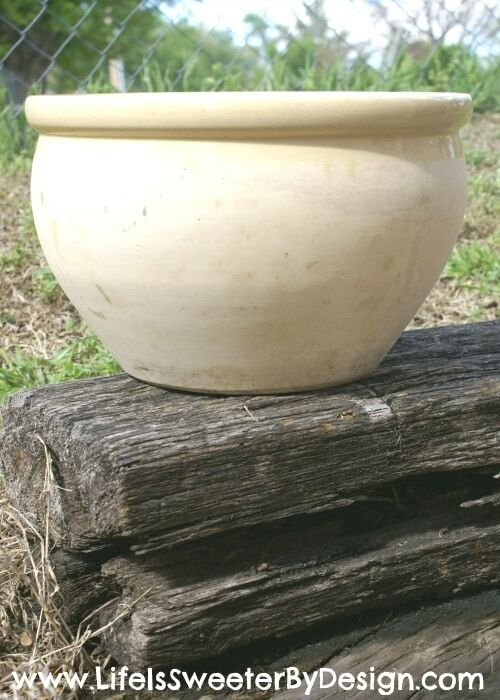 Do you have any old, worn planters on your patio? If so then this DIY Easy Planter Makeover is just what you need to bring some new life into your yard this summer! 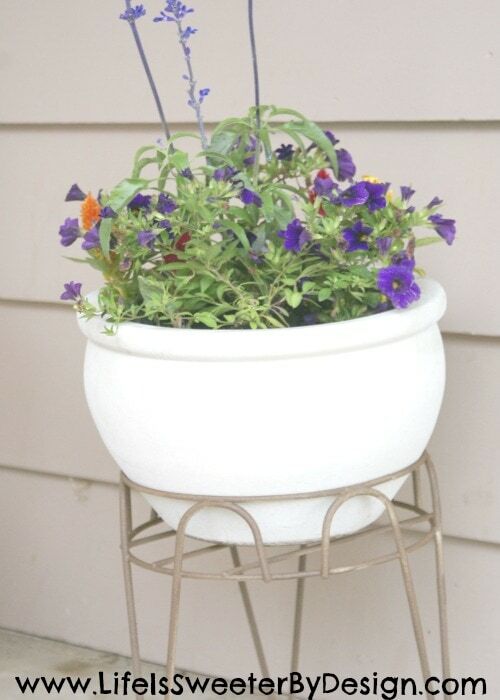 This is a super easy way to spruce up your flower pots! Here is a close up shot of the planter before I started working on it. You can see that the planter has a lot of dings and rough spots. It is dirty and no amount of scrubbing was getting those stains off. 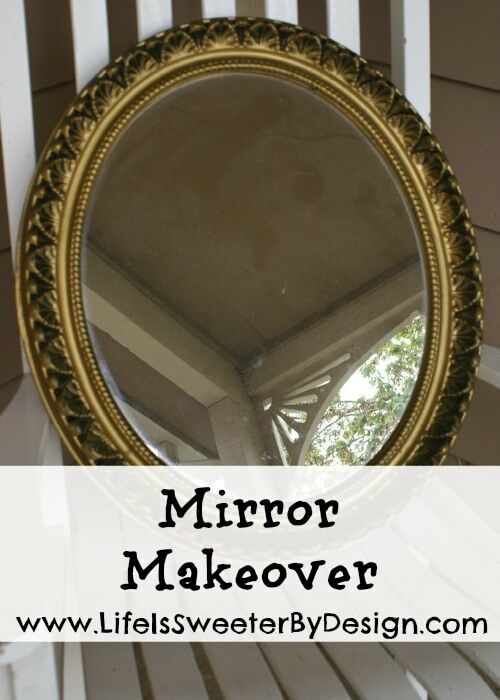 I decided to take a route that has proven successful and very easy….spray paint! 🙂 I can tell you…if you aren't using spray paint…you are missing out! I had some spray paint left over from my Garden Statue Redo and really liked the color and texture of that project. I decided to go with that same color. I really love how Rust-Oleum textured spray paint covers flaws. So…I spray painted the planter. I did a coat and let it dry for 10 minutes or so and then did some more, etc. It is better to take your time and do several light coats to get good coverage. 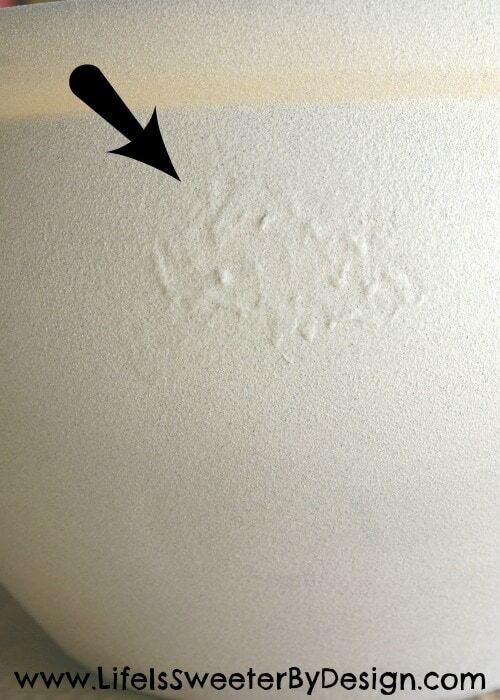 Here is what happens if you spray too close to the object you are painting. This happened to me a couple of times while painting this planter. I went ahead and let it dry over night. Then I just took some sandpaper and sanded the areas down that were like this. I spray painted over those areas once I had them smoothed out. The end result was great! 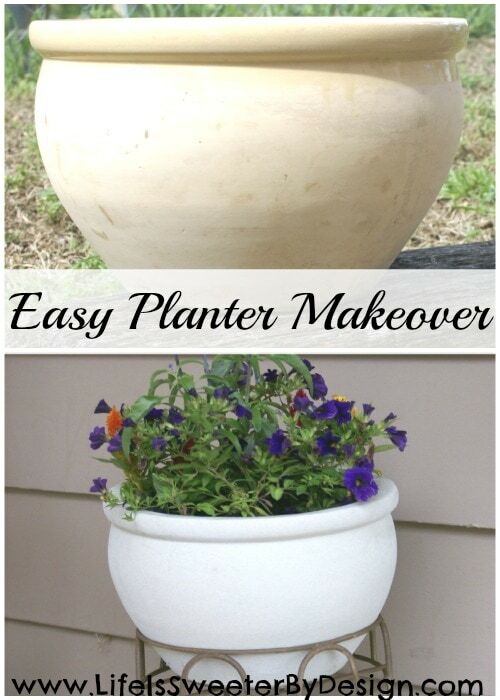 This planter looks like brand new…the Easy Planter Makeover worked a miracle!! Have you tried any projects with spray paint lately? I would love to hear about it! 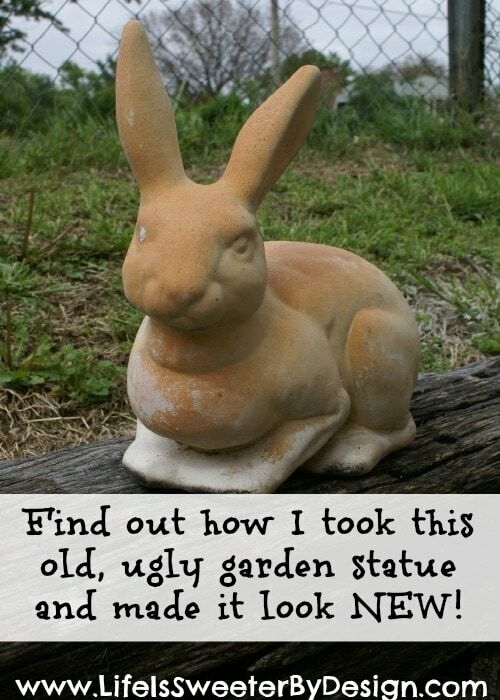 If you want to see some other spray paint projects you can check out my Garden Statue Redo or my Mirror Makeover!